For the extreme environments and conditions of marine applications, nothing short of heavy-duty seawater butterfly valves are up to the test. Here, PIF showcases five specialised butterfly valves for seawater applications from some of the industry’s top manufacturers. Johnson Valves’ JV100006 seawater butterfly valve boasts an aluminium bronze body and disc with an NBR liner, making it an effective solution for marine applications. 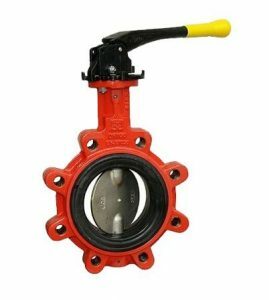 Suitable for an operational pressure range up to 16 bar and a temperature range of between -25°C and +100°C, this butterfly valve offers quick opening and closing with full flow in either direction and leak-tight shut off. Furthermore, the lining that extends onto the faces acts as a gasket, which means separate flange gaskets are not required. The ERHARD ECLI marine butterfly valve combines the compact envelope of a butterfly valve with the cost advantages of a gate valve. The ECLI comes in either a wafer version for clamping between the two flange ends of the pipe or a lug type with threaded eyelets for two-sided flange-mounting to the pipe. Corrosion protection comes in the form of a fusion bonded epoxy body and valve discs made of cast iron to a thickness of at least 150 µm. ABO Series 900 butterfly valves are suitable for a wide range of applications requiring tight shut-off. A triple safety feature system of sealing security designed by ABO engineers provides a 100% tight shut-off, long-term product life and a safe mode of operation in the most demanding applications. 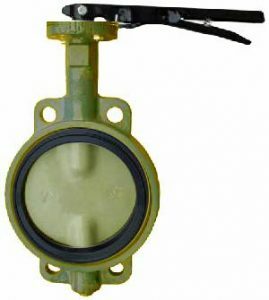 This seawater butterfly valve is available with an optional marine coating for highly abrasive media and comes with ATEX approvals and DVGW certification for gas and potable water applications. 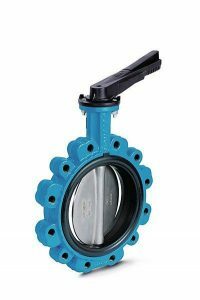 The BUV121 from Brooksbank Valves is a concentric butterfly valve with a fully lugged wafer design body. Manufactured as standard in NiAlBr and fully rubber lined, this heavy-duty marine butterfly valve promises long service life in seawater applications. Suitable for bi-directional flow with bubble-tight shutoff, the BUV121 conforms to the Pressure Equipment Directive 97/23/EC and comes in a range of standard sizes from 2" to 40". 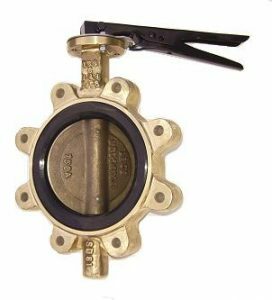 Brooksbank supply this butterfly valve in a range of materials, including nickel aluminium bronze, titanium, Hastelloy and Monel among others. Bray’s Tri Lok seawater butterfly valve is a premier isolation valve designed for a light vacuum to high-pressure applications requiring absolute zero leakage. The standard, non-rubbing, metal-to-metal sealing system is inherently fire-safe. Valve bodies and discs come in WCB Carbon Steel and CF8M Stainless Steel as standard, with a range of optional alternatives including Monel, Hastelloy and NiAB. Standard stem materials include 17-4PH, 410 Stainless Steel and XM-19 (Nitronic). Tri Lok enables independent field replacement of the seat and seal ring and is the only valve in its class with a splined disc/stem connection. If you’re interested in butterfly valves and would like to read more, then why not check out this article that tells you everything you need to know about butterfly valves.